Today I wanted to mention acrylic rulers as a whole. I have tons of them and use them for all different purposes. 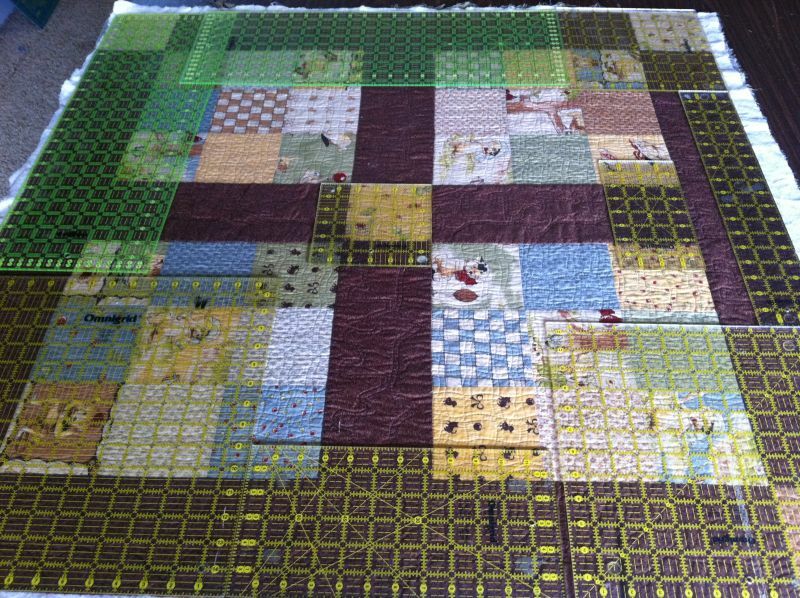 In addition to the workhorse 6″ x 12″ ruler which I use for cutting most of the pieces of my quilt, I like big square rulers and longer rulers to help block the corners of my quilts. I use smaller square rulers for trimming small blocks and strips. The largest ruler I could find, an 8 1/2″ x 24″ ruler is great for cutting longer border strips and trimming the sides of a quilt before applying the binding. 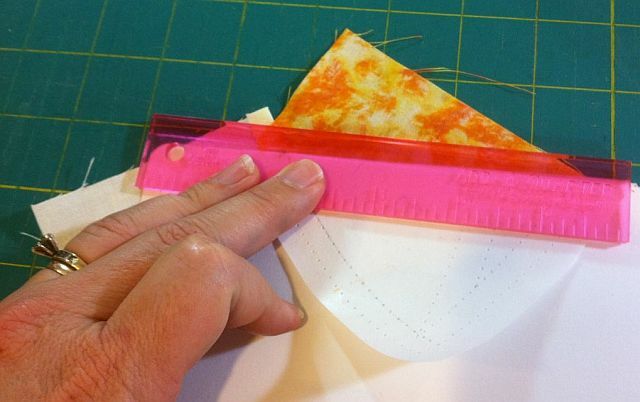 I recently starting using a small ruler, called “add a quarter” when paper piecing. I took a class from awesome teacher and author Gail Garber. You can read my blog post about that. I don’t carry any of the larger rulers because they are too hard to ship but I guess I can start stocking up on the smaller ones. 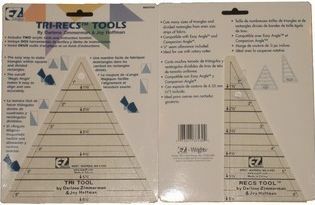 My favorite specialty ruler set is called Tri-Recs. You can make awesome triangle blocks and half-square and half-rectangle blocks from them. I used Tri-Recs when I designed one of my first quilt patterns, many years ago (and yes, it’s still waiting for me to put it in a professionally published format. For now, you can get a free version on my website). Do you have a favorite ruler you’d like to share? I’m always on the lookout for nifty new tools! I have my eye on the OLFA 16 1/2″ Square Non-Slip, Frosted Advantage Acrylic Ruler. I have the 6×12 in frosted ruler and I love it!!! You can see the fabric so much better! 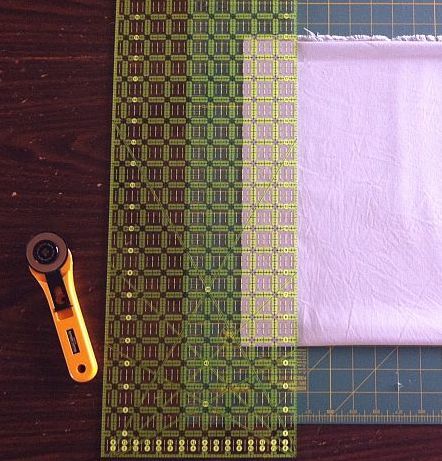 I prefer Quilter’s Rule fabric-gripping rulers. They come in all sizes. They’re more expensive than Omnigrid and most other brands, but they’re worth it.